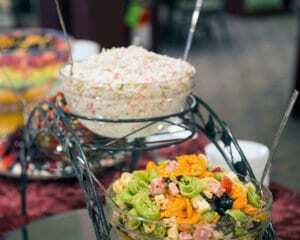 Enjoy our delicious buffets and attentive service. Your group will have tables already assigned to them, no need to search for a place to sit at each meal. Please don’t hesitate to make us aware of any special dietary needs. Meals are generally served buffet style. Our menus are typically available on the Thursday before each upcoming week. Note: Dining hours may be different during an America’s Keswick sponsored event. Often you will be waited on by one of our local church youth groups serving to save for a mission trip. Any gratuities you feel led to give will be used for their trip or ministry. Our aim is to serve the Lord and our guests through the area of food service. Each day we pack our menus with delicious food for you to enjoy. We do realize that on occasion a guest might require some special consideration with respect to dietary needs. If you have medical dietary requirements, please take a few moments to let us know, in writing, those food items of which you must or must not have in your diet. A form for Dietary Needs is included in your pre-event packet. Did We Mention FREE Coffee Available 24 Hours a day!? 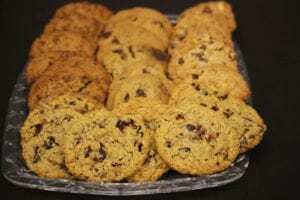 Custom snack breaks and coffee service can be delivered right to your meeting room! Contact us for price quotes and a full list of additional options. Please note: snack breaks must be ordered two weeks prior to your retreat date. Fresh Brewed Coffee – Regular and decaf coffee delivered to your meeting room when you want it. Served with cream, sugar, and sugar substitute. Design your own snack break! Any snack break can be customized to your preferences. Contact us for prices and options.